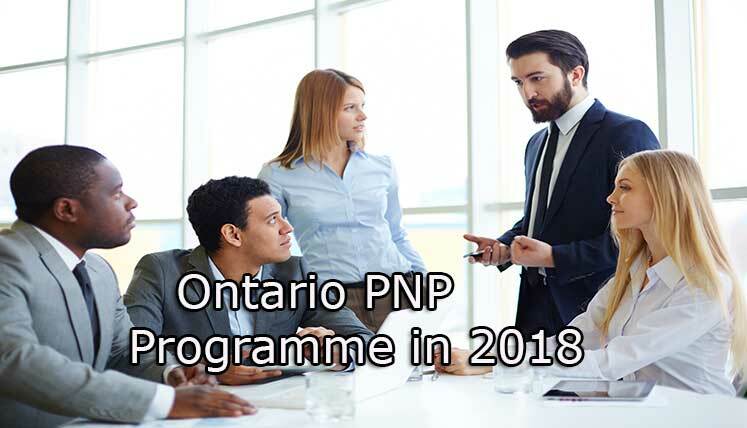 How to apply Ontario PNP Programme in 2018? Canada takes pride on its one of the best immigration system in the world. When we talk about Canada immigration most of the people won’t often think beyond Federal Express Entry System. However, Canada also offer the permanent residency pathway to skilled workers through its Provincial Nominee Programs (PNPs). The Provincial Nominee Programs belong to Canadian provinces, which nominate the Skilled Workers for Permanent Residency in Canada. One such popular Provincial Nominee Program of Canada is Ontario Immigrant Nominee Program (OINP) of Canadian province Ontario. The OINP is the economic immigration program of Canada that invite and choose best skilled workers to fulfil the demands of its Labour market. The Ontario Immigrant Nominee Program (OINP) has different streams to invite the applicants, i.e. Business category, Human Capital category (HCP), etc. Among all the streams of Ontario Immigrant Nominee Program (OINP), Express Entry- Human Capital Priorities stream is largely popular among the foreign skilled workers looking to apply for Permanent Residency in Canada. This particular subcategory of OINP has been designed for the applicants already registered in Federal Express Entry System. Hence, an applicant applying for Express Entry- HCP stream of OINP, need to have minimum 400 CRS (Comprehensive Ranking System) in the Express Entry pool. With OINP- Express Entry stream, Ontario has the access to the Federal government’s Express Entry pool. The Ontario explores the profiles already registered in Express Entry pool and issue NOI (Notifications of Interest) to the suitable applicants, which fulfil the requirements of the OINP. Once the notification is received from Ontario province, an applicant needs to apply in the Express Entry- HCP stream of OINP. If you apply and get selected, you will get the nomination from Ontario and consequently, become eligible to receive 600 additional CRS points from IRCC (Immigration Refugees and Citizenship Canada). Such huge number of additional CRS points makes an applicant eligible to receive (ITA) for Canada PR Visa from IRCC. Once the ITA is received, you need to submit the complete Canada PR visa application within 90 days of the receipt of the invitation from IRCC (Immigration Refugees and Citizenship Canada). Need assistance to apply Canada PR in 2018 via Ontario PNP? If you seek crucial advice, assistance or support to apply Canada PR in 2018 via Ontario Immigrant Nominee Program (OINP) or any other immigration program of Canada, you may contact Visas Avenue Immigration- the leading and registered Visa and Immigration Documentation Consultancy firm in India. You may call the immigration expert on Visas Avenue Toll-Free Number- 78-18-000-777. Alternatively, e-mail your queries to Visas Avenue e-mail id- info@visasavenue.com.